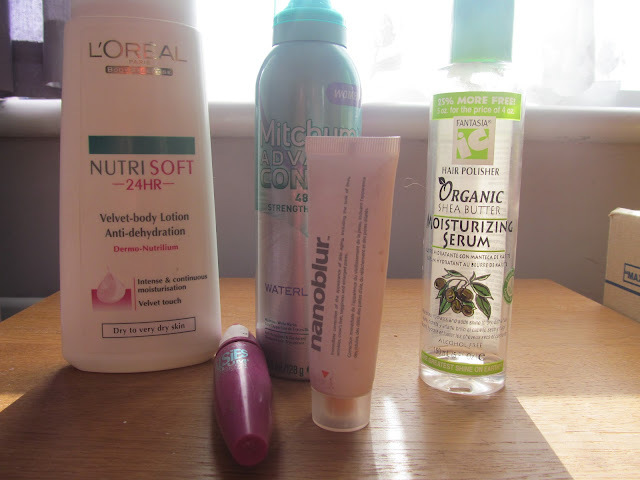 I haven't got through many beauty products this month. I'm in between flats at the moment so practically living out of a suitcase and only really using the bare essentials. I wasn't overly impressed with nanoblur and won't be buying it again. There was a lot of hype when if first came out but I haven't noticed any benefits to using it. I really liked the Organic Shea Butter Moisturising Serum and found it did a great job of protecting my relaxed hair from the heat of blow drying and straightening. I did try to repurchase but can't find it anywhere! This is the 2nd afro hair product that I have come across, loved and then couldn't find anywhere! What is going on? The stand out beauty product for me this month was Maybelline Falsies Volume Effect Mascara. My eye lashes are short and stubborn, and have been known to scratch my eye balls on occassion. Maybelline Falsies Volume Effect Mascara does exactly what it says on the tin, you look like you are wearing false lashes. Love it and have already re-purchased. An instant classic I will be using for ever.